Some forward-thinking churches are finding that one way to serve their communities is to help them with one of the biggest stressors in their lives—paying for college. With Collegedata.com’s estimated cost of attending a four-year college now approaching, on average, $101,960 for in-state universities and $203,600 for “moderate-priced” private colleges (based on 2017–18 academic year prices), paying for college has now become one of the biggest financial burdens facing today’s families. In fact, for most families, college is the second largest investment they’re likely to ever make. Despite that, few families adequately plan for college let alone question its price tag. But some churches are aiming to change that by bringing seasoned professionals in to offer free seminars on how to pay for college without going broke. Addressing this issue can prove significant to the well-being of families. Money concerns have consistently ranked as one of the top stressors for adults in the American Psychological Association’s annual surveys. For its most recent survey, a full 62 percent of adults responded that money caused them stress. The figures are equally as grim for teenagers. The APA’s 2013 survey noted the sources of stress teens most commonly cited were school (83 percent), getting into a good college or deciding on a path after high school (69 percent) and financial concerns for their family (65 percent). Unfortunately, those families who can benefit most from financial advice often have the least amount of resources to spend on specialist services. That’s where churches can come in. By partnering with groups who are seasoned professionals in these fields to offer free seminars, they can go a long way in easing families’ stress and helping them find the most appropriate and most affordable outcomes for their children. Parents are often surprised to hear that they have control over how much they’ll end up paying for college. When they understand the process, and the steps they can take to cut their costs, they are often relieved to discover that their child’s dream school with the expensive price tag may actually be in reach. A big part of the process of saving on college costs is starting early. While many families today set up college savings plans when their children are still toddlers, in today’s environment of escalating college costs, that’s often not enough. Fortunately, there are strategies families can take to help reduce their college costs, but the key is getting a jump on understanding how to navigate the process and maximize aid and scholarship opportunities. And for that, it’s not too early to start when a child is in middle school. Many families don’t begin to think seriously about college until their children are high school juniors. But getting families to put college on their radars sooner can go a long way in easing their financial burdens and reducing the stress felt by both them and their teens. Many schools don’t start addressing these concerns until students are in high school. That puts churches in a unique position to reach out to families early, when they can take the greatest advantage of the advice. • Finding a focus: Taking steps to identify a student’s true passion so they can enter college with a focused goal and graduate in four years, rather than the national average of 5 years, 10 months for kids who begin college within a year of their high school graduation as reported by the latest Department of Education Web Tables (October 2012 edition). That reduction in enrollment time could save tens of thousands of dollars. • Raising test scores: Investing in tutoring or even just a book to help raise a child’s ACT or SAT test scores can help parents save big. That’s because a modest increase in standardized test scores could generate several thousand dollars per year more in scholarships. Need proof? Check out some of the colleges that post expected scholarship awards based on GPAs and test scores to see how awards increase as scores and GPAs go up. For example, at the University of Mississippi, a non-resident student with a 3.0 GPA who increases their ACT score from 29 to 31 can boost their Academic Excellence Scholarship aid award from $3,500 + $5,000 toward the nonresident fee to $5,500 + $10,000 toward the non-resident fee (Source: https://finaid.olemiss.edu/scholarships ). • Learning business strategies: For small business owners, restructuring their businesses in a way that will help decrease their Expected Family Contribution (EFC) on the Free Application for Federal Student Aid (FAFSA) is just one strategy they can take to boost their child’s potential for financial aid. While many high schools try to guide students through the college application and financial aid process, with all school counselors have on their plates, they don’t have the time or resources to share with individual students and their families all the secrets of the college process. That’s where churches can fill in the gap by partnering with specialists who understand all the nuances of college admissions and financial aid. Churches are also uniquely positioned to bring extended family members into the process. Why is that important? It’s because it’s not just the families with college-bound students who can benefit from knowing these strategies, but also those students’ grandparents as well. 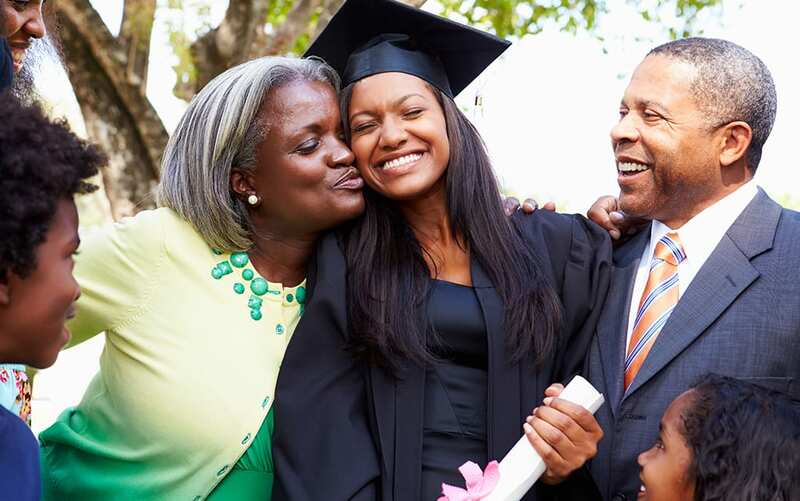 Wanting to help out with the college bills is only natural for a grandparent with a generous spirit, but, sometimes, that help can actually be a detriment to the family. Understanding how to time gifts so they don’t impact a student’s financial aid can go a long way in making sure those gifts provide the maximum amount of financial relief. Seminars can also help families broaden their options. Maybe they’re only considering state schools because, on paper, they look like the cheaper option. Once they understand the financial aid process, they may discover that that private or religious school their child wants to apply to is actually more affordable. Churches also have the opportunity to offer members seminars at times when they’re less stressed and more able to take in the information. While schools generally pack everything into the school year, a church could offer a seminar during the summer months when students and their families are less bogged down with homework and activities and may have more free time. College seminars are also a way to help community members in addition to a church’s parishioners. It’s a way to reach out beyond its walls to serve those in need. And college workshops don’t have to be a once a year event. Many organizations that offer such workshops hold them several times a year to cover the full breadth of the college puzzle—from how to structure finances to increase financial aid to how differences in how schools determine aid can impact financial awards. To gain the maximum benefit for their communities, churches should look for seminars given by specialists in the college admissions and financial aid fields. A CPA or financial advisor can provide some help, but they may not know all the inner-workings of the financial aid process that can benefit families. Churches should also look for an organization that will offer valuable information rather than just spend an hour on a thinly veiled sales pitch. Finally, they should look for a group that can put people in touch with specialized, individual services for those who want them. Look for ones that have sliding fees based on income levels so that anyone who wants to avail themselves of the services can. How to pay for college may not be on every church’s radar, but given how much stress it causes so many members of its community, it probably should be. Matthew Allgood is a registered representative with, and securities are offered through LPL Financial, Member FINRA/SIPC. He also offers investment advice offered through Level Four Advisory Services, LLC, a registered investment adviser. Level Four Advisory Services, LLC and Allgood Financial are separate entities from LPL Financial, as is the My College Planning Team (MCPT), located in the Chicago area, with whom he has an alliance as an independent Third-Party Advisor. More information on Matthew Allgood can be obtained at AllgoodFin.com. Some of this material has been provided by MCPT (MyCollegePlanningTeam.com).